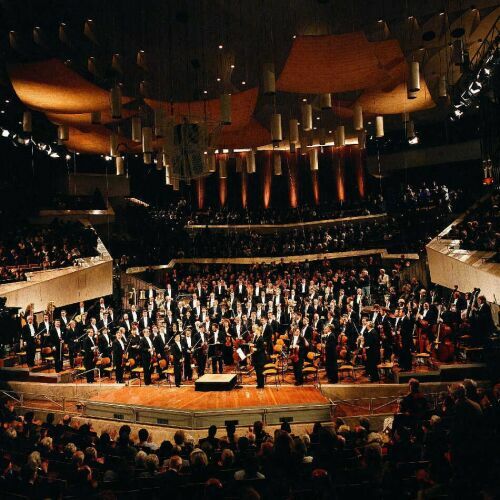 The Berlin Philharmonic Orchestra (also known as Berlin Philharmonic or BPO; in German Berliner Philharmoniker), is an orchestra based in Berlin, Germany, and one of the world's leading orchestras. Its current principal/Chief conductor is Sir Simon Rattle, who is known for his championing of contemporary classical music. The BPO also supports several chamber music ensembles. Website: http://www.berliner-philharmoniker.de/. The Berlin Philharmonic Orchestra was founded in Berlin in 1882 by 54 musicians under the name Frühere Bilsesche Kapelle (literally, "Former Bilse's Band"); the group broke away from their previous conductor Benjamin Bilse after he announced his intention of taking the band on a fourth-class train to Warsaw for a concert. The orchestra was renamed and reorganized under the financial management of Hermann Wolff in 1887. Their new conductor was Ludwig von Brenner; in 1887 Hans von Bülow, one of the most esteemed conductors in the world, took over the post. This helped to establish the orchestra's international reputation, and guests Hans Richter, Felix von Weingartner, Richard Strauss, Gustav Mahler, Johannes Brahms and Edvard Grieg conducted the orchestra over the next few years. Symphony No.9 In D Minor, Op.125, ILB 280 "Choral": V. Presto, O Freunde, Nicht Dies T Ne!